Here it is. I only did the pic with the top half to highlight what I was mad about. Not figuring the wole cover was needed. 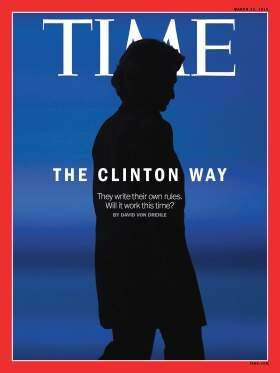 So here it is the Hillary Clinton cover that makes her look like she has horns. Shame on Time. it still reminds me of the creature in 5 Miilion Years From Earth. Seriously why has this movie not been remade?